From the bestselling authors of Why does E=mc2? comes The Quantum Universe, in which Brian Cox, presenter of the BBC's Wonders of the Solar System and Wonders of the Universe, and Jeff Forshaw go on a brilliantly ambitious mission to show that everyone can understand the deepest questions of science. But just what is quantum physics? How does it help us understand our amazing world? Where does it leave Newton and Einstein? And why, above all, can we be sure that the theory is good? Here, Brian Cox and Jeff Forshaw give us the real science behind the bizarre behaviour of the atoms and energy that make up the universe, and reveal exactly how everything that can happen, does happen. Brian Cox is a Professor of Particle Physics and Royal Society University Research Fellow at the University of Manchester, and works at the CERN laboratory in Geneva. He is also a popular presenter on TV and radio. 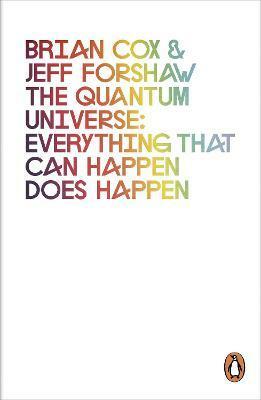 Jeff Forshaw is Professor of Theoretical Physics at the University of Manchester, specializing in the physics of elementary particles. He was awarded the Institute of Physics Maxwell Medal in 1999 for outstanding contributions to theoretical physics.